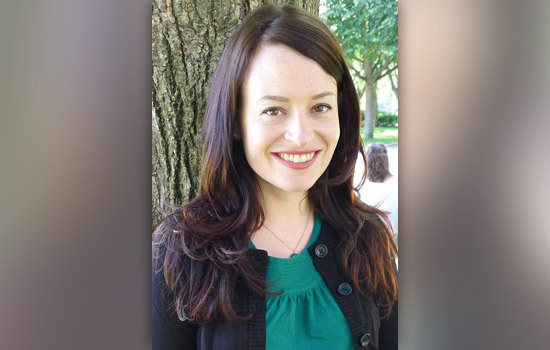 Alice Marwick, an assistant professor of communication and media studies at Fordham University, will present “Networked Privacy and Social Surveillance” as part of the MAGIC Speaker Series March 19 at RIT. The differences between privacy on Facebook and privacy in real life will be discussed at the MAGIC Speaker Series on March 19. Alice Marwick, an assistant professor of communication and media studies at Fordham University, will present “Networked Privacy and Social Surveillance,” part of RIT’s MAGIC Speaker Series, at 1 p.m. Wednesday in Student Innovation Hall, room 1600. Marwick’s talk will examine the relationship between social media, the shift toward networked privacy and the prevalence of social surveillance. While privacy is traditionally individualistic, social technologies have enabled people to investigate what others are doing and widely share information about them without their consent. Marwick is an academic affiliate at the Center for Law and Information Policy at Fordham Law School and has written for The New York Times, Wired and The Guardian. Her research examines identity and social norms online through lenses of privacy, surveillance, consumption and celebrity. Marwick’s talk will conclude at 2 p.m., at which time she will be available to meet guests and sign copies of her first book, Status Update: Celebrity, Publicity and Branding in the Social Media Age. The book is based on a multi-year ethnography of the San Francisco tech scene. Copies of her book will be sold at the event, provided of Barnes & Noble. The MAGIC (Media, Arts, Games, Interaction and Creativity) Speaker Series was created to spark a dialogue around campus about the changing digital world. For more information about the lecture and to RSVP, go to facebook.com/RITmagic.